Brazilian jiu jitsu is a grappling/Submission martial art that can be practiced for Fitness,self defense or competition. It largely evolved from Japanese Jiu Jitsu and was developed into a potentially more practical martial art by the Gracie family in Brazil. Thanks to the rise of the UFC and fighters like Royce Gracie, Jiu Jitsu has now become one of the most popular martial arts in the world!! 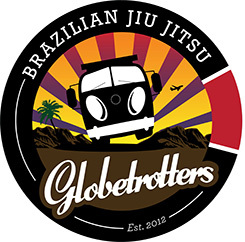 "The Marcello C. Monteiro BJJ Association is a unique organization dedicated to taking your Brazilian Jiu Jitsu game to new heights. With superior instruction and guidance from Professor Monteiro, the MCMBJJA boasts a powerful and dynamic curriculum to take students from White Belt to Black Belt as quickly and effectively as possible." Our Brazilian Jiu Jitsu and No Gi Grappling program is one of the most comprehensive No Gi training options in Thailand and they are run by experienced grapplers and BJJ practitioners with many years of training and competition experience across the world including Europe, Asia, Mexico and the USA . Our classes are Gi optional and and because we keep the class numbers small you can always get plenty of time with your instructor to fine tune the details of each technique!! Combat 360X Khao Lak offers twice daily classes Monday - Friday in Jiu Jitsu and No Gi Grappling please check the training schedule or click here to email us . We understand that not everyone wants to work on striking techniques and our classes are designed to suit people at all levels and we will work with you on achieving your specific goals! Our morning grappling classes focus on techniques and usually on developing a series of transitions and submissions from one base position each week allowing you to develop a wide range of options from each fundamental position. Our evening classes on Tuesdays and Thursdays focus on live rolling or live drills, whilst our Monday, Wednesday and Friday evening classes focus on Grappling fundamentals and are useful for both complete beginners who want to understand the basics through to advanced guests looking to fine tune or drill on techniques ( These sessions can also be used as open mat time for guests to come and roll).